Newsweek savior Sidney Harman bought the sinking magazine for $1 and assumed nearly $50 million in debt out of a philanthropist’s sense of generosity and an elder’s reverence for journalism. When the billionaire audio magnate died soon after at the age of 92, media-watchers questioned the dedication his heirs would have to the same niche cause. “The Harman family is totally committed to Newsweek and its future,” said an assuring rep for the family at the time. 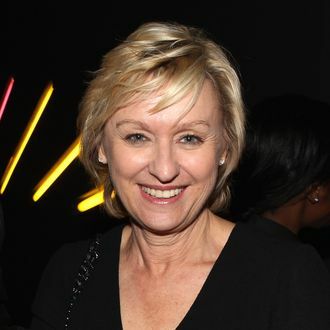 “They will continue to be active and supportive as Sidney would have wished and in Sidney’s memory.” But Reuters reports today that the Harmans are done investing in the Newsweek/Daily Beast Company, leaving Barry Diller’s IAC to pick up the Tina Brown slack. The Harmans insist the move is “purely financial.” A source even promised Reuters that Brown and Jane Harman “have ‘a very good relationship’ and noted that Harman is hosting an event for Brown in her home in Aspen on Thursday.” Hopefully the room will be big enough for this particular elephant.